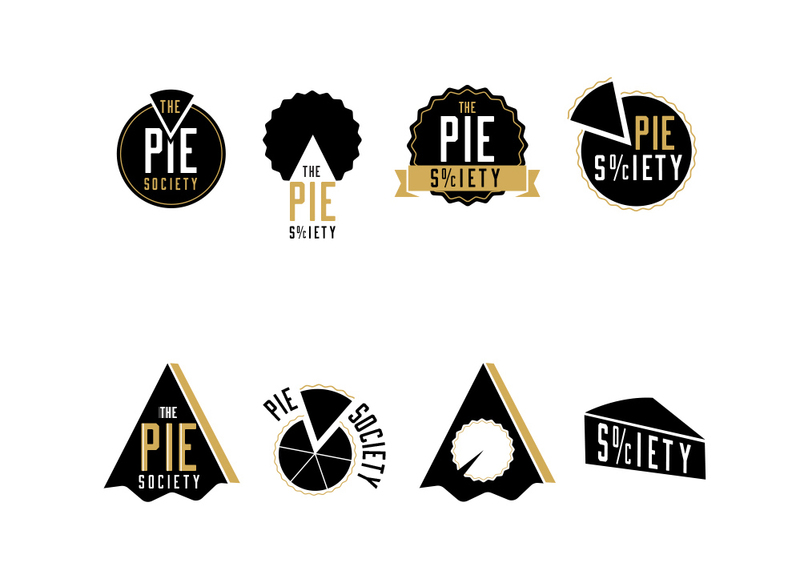 Pie Society! YUM YES PLEASE, who doesn't love pie, and even better when you share it with others!? Although Im not talking about freshly baked pie per-say, this slice of pie keeps going and going. This logo concept came to me from the Waco Foundation as they are working on a new planned giving campaign to generate public awareness for a transfer of wealth opportunity in McLennan County. With the tagline, "Thank you for sharing a slice of your pie," their campaign is geared towards showing how MUCH impact can be made with sharing JUST 5% of your estate with charity. Waco Foundation wanted to play off of the pie theme, because it is so much more fun to talk about pie rather than death, dying or diverting assets. 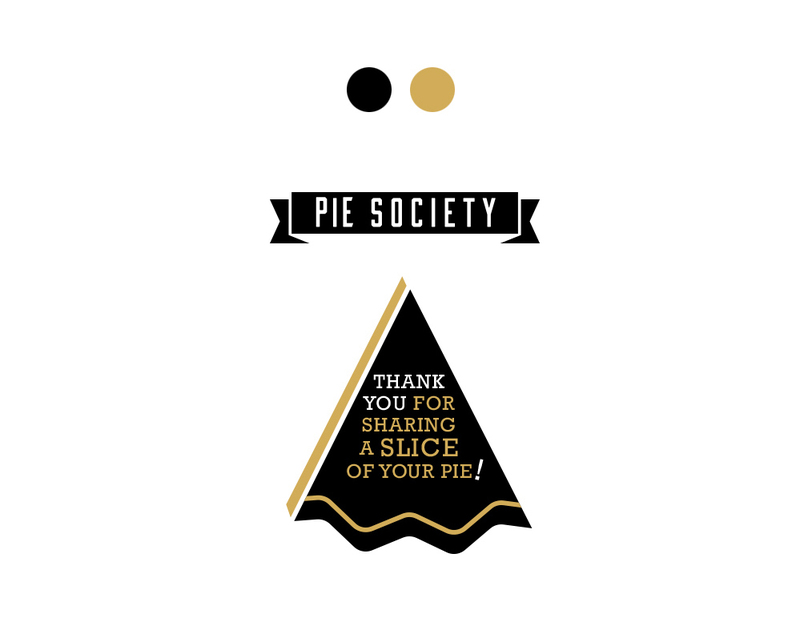 The whole pie represents an individual’s accumulated wealth during their lifetime and the small offset slice represents the slice shared for charitable causes. Therefore I needed to come up with a logo that summed up this campaign, "sharing a slice of your pie." As you can see I sketched a lot and for a while. I thought this logo would be fairly easy to create and stream line, but for some reason that just wasn't the case. As I have learned, and am still learning, "simple" and "clean" takes a lot of creativity, effort, and even starting over if need be (which I did a couple of times). I ended up showing the client more "concepts" than I usually do because I wanted to get their feedback on a couple ideas swimming around in my head. Luckily, a concept was chosen on the spot from two ideas, so I was able to move forward in the refining process by combining both into one final logo, YAY! In hindsight, I suppose enjoying some fresh baked pie while sketching might have helped the process along, eatable inspiration, oh well. You can check out their video on sharing your 5% here.